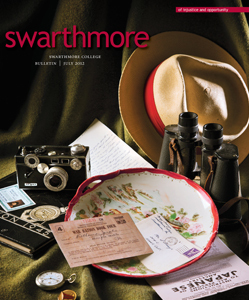 Something is missing from the dusty archives of Swarthmore’s alternative publications. Eli Epstein-Deutsch’s story in the April 2012 Bulletin reviewed many “earnest and edgy” magazines, but one short-lived experiment from the 1970s escaped notice. SALT appeared on campus only twice but seems noteworthy for its dedication to strengthening the College through investigative journalism.